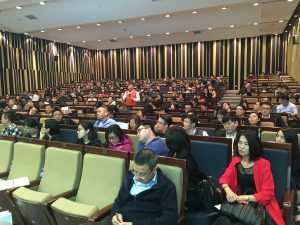 Tanoto Foundation launched a series of corporate social responsibility (CSR) lectures at Fudan University on April 24, 2016. 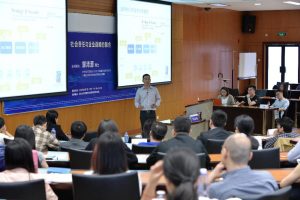 The lectures aim to help raise the quality and standard of CSR courses in the university for the benefit of CSR professionals in China. 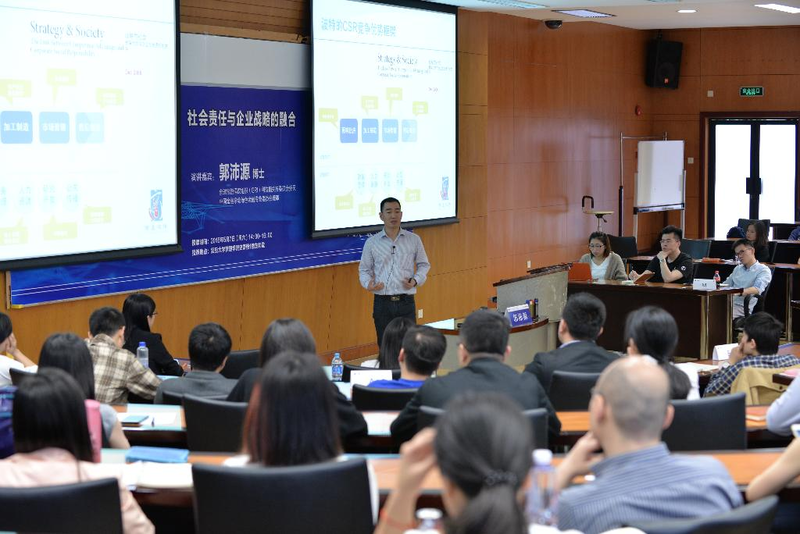 As more enterprises in China adopt and incorporate corporate social responsibility strategies into their business operations, the availability of CSR courses in institutes of higher learning will help enhance social responsibility practices in the country. 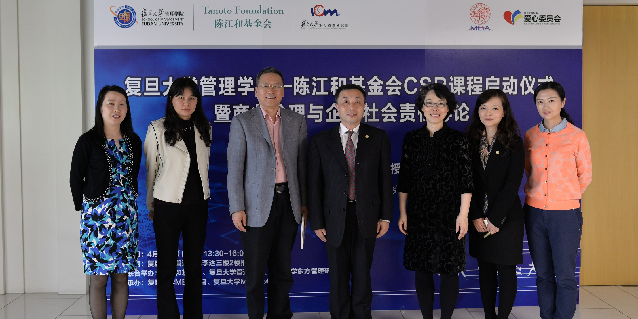 Modelled on the ISO 26000 definition of social responsibility, this series of lectures is jointly organised by Tanoto Foundation, Fudan University Management School, and the Institute of Oriental Management. RGE China Senior Sustainability Manager Gary Gao emphasises the importance of CSR courses in China and how they can elevate CSR professional standards in the country. Also present at the ceremony were Prof. Su Yong, Dean of Department of Business Administration of Fudan University Management School, Ms Wu Wanlin, Director of Development Affairs Office, Ms Dai Ninghong, Deputy Director of MBA Program and Assistant Prof. Zheng Qinqin, Deputy Dean of Department of Business Administration from Fudan University Management School and over 200 MBA students. After a brief launch ceremony, Prof. Su Yong gave the first lecture to over 200 MBA students, titled “Value and Concept of CSR”. It covered four aspects: Concept of business ethics; new developments in business ethics against the backdrop of globalisation; business ethics principles and practices; and how enterprises should implement corporate social responsibility programmes. The session ended after a 30-minute Q&A. The MBA students said they learnt a lot from the lecture and expressed their appreciation of Fudan University as a forward-looking institution. Course participants listen attentively at the second Tanoto Foundation CSR Lecture. 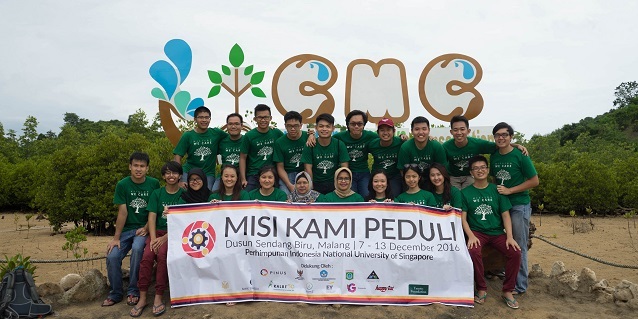 The Tanoto Foundation CSR Lectures comprise a total four lectures. 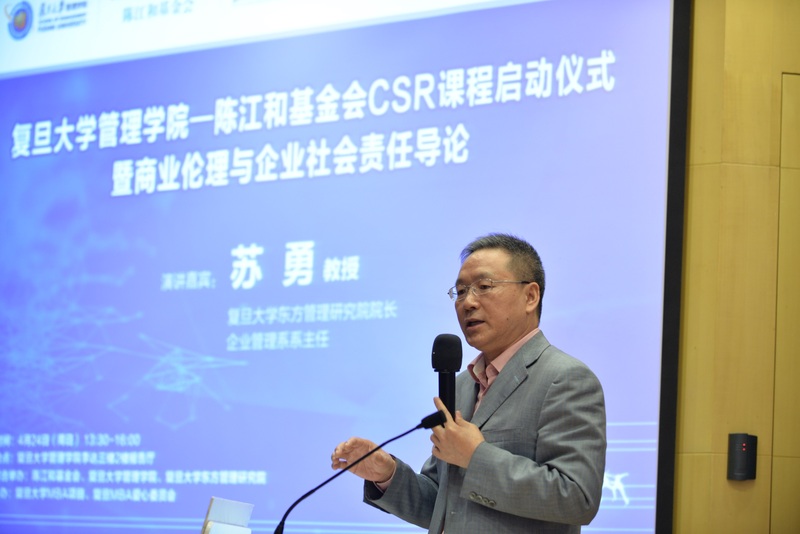 The other three lectures are (1) Integration of CSR into Business Strategy, (2) Responsibility of Respecting Human Rights: Global Agenda and Enterprise Challenge and (3) CSR and Innovation. Experts will be invited to give the lectures. The lectures are modelled on “social responsibility” as defined by ISO 26000 Guidance on Social Responsibility, an international standard developed to help organisations effectively integrate social responsibility into their business. According to ISO 26000, an organisation should address seven core subjects: Organisational governance, human rights, labour practices, the environment, fair operating practices, consumer issues and community involvement and development. The Tanoto Foundation CSR lectures will cover some of these subjects. Find out more on ISO 26000 here and here. 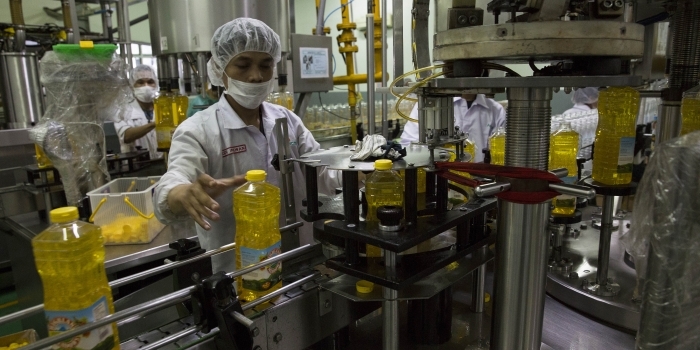 Through Tanoto Foundation’s contribution of quality CSR courses in China, we may see more effective and responsible business practices in Chinese enterprises, and their resultant demonstration of sustainable business leadership is expected to benefit many stakeholders, communities and the environment. 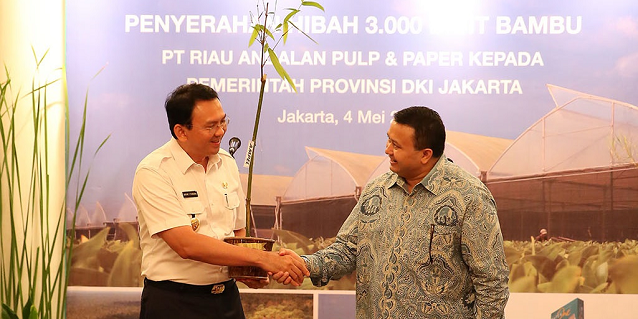 Tanoto Foundation is an international philanthropy organisation that also has activities in Indonesia and Singapore. Founded by Sukanto Tanoto and his wife Tinah Bingei Tanoto, Tanoto Foundation strives to be a centre of excellence in poverty alleviation through education, empowerment, and enhancement of quality of lives. Tanoto Foundation’s mission is to work with communities and partners to address root causes of poverty in countries where the Tanoto family has significant presence.